Lori Lightfoot has become Chicago’s first black female mayor — and first lesbian mayor — after toppling Chicago Democrat machine candidate Toni Preckwinkle, the current president of the Cook County Board, in a landslide. Lightfoot won nearly 75% of the vote. While the election was historic, voters did not seem interested, as turnout was less than 35 percent. Lightfoot, a former federal prosecutor, also won all 50 of the city’s wards over the more experienced Preckwinkle, the Chicago Tribune reported. Claiming unity with her opponent, Lightfoot made her victory speech at just after 9 p.m. Central time on Tuesday evening. Lightfoot has never held elected office before, another first for a Chicago mayoral election. Meanwhile, her opponent is not only the president of the Cook County Board, but also runs the powerful Cook County Democrat Party. The election also marks another first and one that just might be a bad omen for some of the deepest Democrat operatives in the city. Preckwinkle was a close associate of deposed Democrat Party boss Joseph “Joe” Berrios, who faced criticism for nepotism, among other things. She also had the donations and support of Alderman Ed Burke, who is now under a cloud of suspicion after being arrested by investigators in a federal corruption investigation. Preckwinkle was also the favorite of many of the city’s unions. By comparison, Lori Lightfoot seemed like the cleaner candidate. The only concern some voters had with Lightfoot was that she is openly gay, a fact that made some religious voters in the African American community uncomfortable. The race was also roiled by the Jussie Smollett case, and the ongoing debate over the relations between police and the black community. 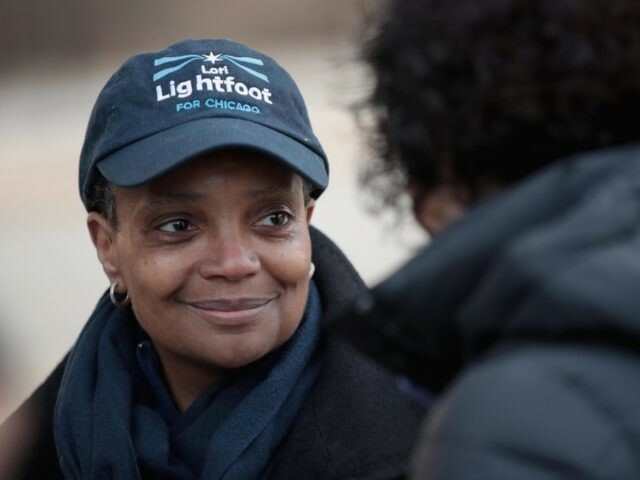 Lightfoot will be inaugurated in May and will replace former Barack Obama chief of staff Rahm Emanuel in City Hall. She faces some tough financial and pension challenges; a police force with historically low morale; massive job losses; a threat of even higher, punitive taxes; and a dwindling population. Regarding the latter, Chicago has lost more citizens to out-migration than any other big American city for four years running.